This entry was posted in Video and tagged video on June 20, 2014 by Tom Grundy. Share the post "VIDEO – The HK Domestic Workers Who Are Budding Writers"
Whilst one local domestic worker has become a famed street photographer, others are trying their hand at writing. HKU student Peter Sabine has produced a short news piece about domestic workers who are documenting their experiences through writing. Cahaya Qu, a local Indonesian magazine run by Susie Utomo, is serving as a hub for budding writers who want to assist other helpers in putting pen to paper. 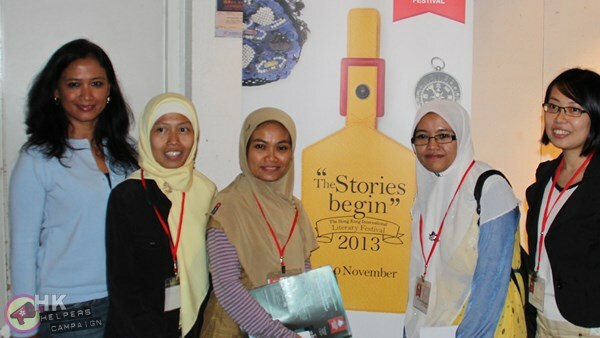 Utomo spoke last year at the Hong Kong Literary Festival, as reported by HK Helpers Campaign.